Cloud business intelligence has the power to open doors for small to medium-sized companies. By Masindi Mabogo, director at PBT Group. Undoubtedly, cloud computing has changed the way in which IT serves companies. Virtually anything can be offered as a service (XaaS), and business intelligence (BI) in the cloud is no exception. In fact, there are a handful of reputable vendors offering a cloud BI as a service solution. Their options range from complete data warehousing and BI suites, in the cloud, to less complex data exploration and visualisation solutions such as Birst, GoodData, MicroStrategy, SalesForce, Tibco Spotfire Cloud, SAP Lumira Cloud, IBM Watson Analytics, Microsoft Power BI, Amazon Web Services and Oracle BI Services, to name a few. Cloud BI solutions typically provide multitenancy hardware and host software over the Internet - which imports business data, places a structure around it (if unstructured), applies the data models and generates a Web-based user interface. These allow for analysis and distribution of reports and dashboards. These solutions are also compatible with smart mobile devices, giving access to analysis and dashboards from anywhere and everywhere. Additionally, cloud BI implementations are sold as alternatives to traditional BI, given the advantages of providing faster implementation time and a significantly different cost structure from traditional implementations, which are based on on-premises data centre installations. Some companies commonly use cloud for proof-of-concept projects before actually implementing them in-house. Other bespoke benefits include greater agility, higher levels of innovation and improved ability to contain costs and reduce the need for capital acquisition. According to John Myers, who compiled a research report on Analytics in the Cloud, the top three financial drivers behind cloud BI platforms are minimised hardware and infrastructure cost, reduced implementation cost, and reduced administrative cost, in that order. However, cloud BI can come with its own challenges. For example, bandwidth constraints can negatively impact data transfers into the cloud; as such, large companies might still need to maintain on-premises sources for cloud BI or face additional costs for upgrading connectivity to the cloud. As a result, it is unlikely that all company data will move to the cloud. So businesses with large volumes of data may still need to transform raw data on-premises to reduce the size of the data, and only transfer 'subsets' of necessary company data. In other words, keeping data transfers small is important in cloud BI to manage both cost and upload/download bandwidth issues. Security should not be a worrying factor for adoption - anymore. Other challenges that may lead companies to hold back from expanding to a cloud-based approach are performance and latency-related issues; the fact that this approach discourages customisation; and some businesses have privacy and security concerns when it comes to sending sensitive business data beyond the corporate firewalls. However, most cloud solutions now follow sophisticated encryption techniques with stricter security processes and certificates, which are more advanced than many companies have internally. Therefore, security should not be a worrying factor for adoption - anymore. Companies that have made the move to the cloud often state the benefits - faster time to market, no need to maintain on-premises software and simplicity of use - outweigh any downsides. An article from CIO states: "Business intelligence solutions were once the jurisdiction of the largest enterprises, which had the deep pockets and obligatory technical resources to implement what's often a fairly complex technology. Today, though, the cloud brings BI within the grasp of small to medium-sized businesses as well. Smaller to medium companies get the benefits of enterprise software without having to have the on-premises footprint and the staff that typically would be required." Although there is no rush to replace traditional BI applications with cloud alternatives in the near future, BI SaaS does have a number of legitimate use cases today. For large companies, it is often complementary to improving customer transparency, in coexistence with traditional BI, while it is an affordable option for small to medium organisations. Cloud BI solutions have the potential of levelling the competitive advantages that were previously enjoyed by large counterparts. The 'pay per use' costing models makes the cloud approach attractive to companies of any sizes across any industry. According to Analytics in the Cloud, a January 2015 report by Enterprise Management Associates, adopters' interest has been increasing in the past three years and can be expected to continue in recent years, at an accelerated rate. Masindi Mabogoâs career started from humble beginnings, as a tutor, teaching Microsoft Word and Excel, before joining a division in Unisa as a researcher. 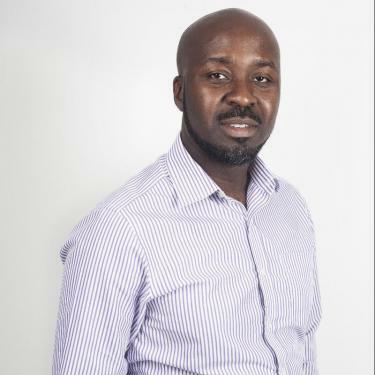 Mabogo later moved to a call centre appointment at Fujitsu, supporting dial-up Internet connection, before joining a PBT Group Internship in 2006. Through perpetual commitment, dedication, determination and hard work, he grew through the ranks to become a principal BI consultant at PBT Group. After eight years with PBT Group, Mabogo was appointed as a director, a position he currently holds.